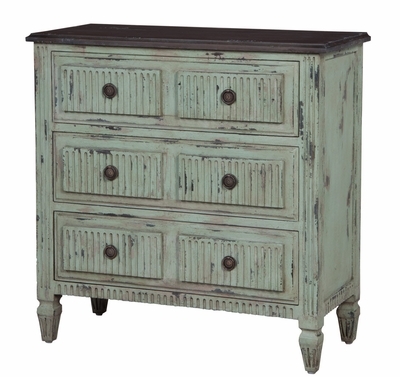 EUROPEAN FARMHOUSE DRESSER - A three drawer chest finished in Heritage Grey Stain on the top. Base is finished in Vintage Glacier and Surf City. H 36" x W 36" x Depth 16"